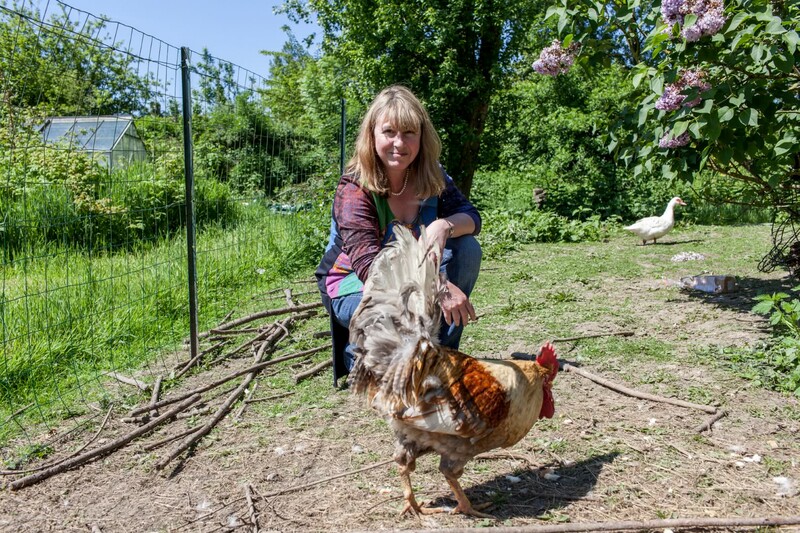 Having moved to France in 2012, Janine Marsh started blogging about her new life as a way to keep in touch with friends and family still in the UK. However before she even had time to get to grips with the local lingo, she found she was getting 60,000 hits a month! Now with over 1.5 million visitors a month to The Good Life France – via the website, social media and magazine, a quarterly print magazine and an autobiography on the horizon, we thought it was about time we put the spotlight on this remarkable blogger turned journalist. How did The Good Life France get started? Why did you do it? I was “coerced” into coming to France by my husband. We were both working in finance at the time and I had thrown myself into my job as a project manager for a big US bank in the city. I worked crazy hours and willingly gave them a pound of my flesh – enough to be nominated for directorship. But it took its toll on home life and when my husband said he was going to go and spend time in our French hovel with or without me since I was never at home anyway, I had a moment of madness and chucked the city job in for love. I started blogging about my life in 2012 as a way to keep in touch with friends and family back in the UK but within six months, much to my utter amazement I was getting 60,000 people a month reading my posts and realised I had the potential to make it more than a personal blog. I went for it and turned it into an “everything you want to know about France… and more” website. Was the site difficult to launch and how easy is it to maintain? Actually it was quite easy for me. I knew absolutely nothing about websites or the internet but my husband is one of those people who can read a book or watch a video and remember things and once he started to read about how to build a website I think it’s fair to say he became obsessed with the whole technical thing. In between renovating the house in France, he qualified as a website builder and rather than learn French, he learned computer languages. He now builds and maintains websites for clients around the world. Because I knew nothing about websites or digital publishing I did everything wrong really. I’d been an editor on a print magazine in London years before – it was totally different. I had to learn everything from scratch. In the early days I used to type my posts in word and email them to my husband to pop on the website! Over time he has coaxed me into getting over my fear of screwing things up and I now do almost everything myself but not the maintenance side – I leave that to him! You have created a very successful brand – what are your top tips for anyone starting out? Be persistent – success is not always guaranteed but failure definitely is if you give up. Enjoy what you’re doing – it comes across in your writing. It can’t all be about marketing and advertorials – there has to be a blend so that your readers have something that inspires and entertains but also informs. Value your readers and put yourselves in their shoes. Would you enjoy reading what you’ve written if you were them? Don’t try to sell to them, people are bored with being sold to and they switch off. I’ve tested extensively what works on my readers. I know that they want the information but they want it presented in an interesting, informational and entertaining way. My motto is “so what?” When I’m writing for instance about a tourist destination, hotel, restaurant, museum and I’m recommending them to people, I want to give them compelling reasons why they should go there, try this, eat that, read this – so that they don’t think “so what”. Where do you see the growth of the ‘Good life’ brand going? Will you expend into other countries? Well I have a lot of plans for the future! I have a publishing deal for my story about The Good Life France and the book is due out in September 2016. I’ve spent a whole year testing the waters for a digital magazine about France, I wanted to be sure that there would be an audience for it, and importantly, that advertisers would like it. The Good Life France Magazine has gone from strength to strength. It has been hard work learning new software for graphic design and layouts but it’s been a huge success and I will absolutely be continuing to produce it going forward. The Good Life France brand will become more specialised, with a niche marketing approach. We will be producing specialist, expert guides to life in France as well as specific destinations. I’m really excited about the possibilities that are presenting themselves to expand, extend and elevate what we offer advertisers and readers. As for other countries… not yet, but, maybe one day! Where do you see the future of media and news communication going? I look at how the younger generation have adapted to digital, for instance my step daughter wouldn’t dream of buying a newspaper – she reads everything online. The problem is that online reading promotes scanning, so for sites like mine, it’s important to build loyalty in readers, to keep them coming back. I constantly analyse what readers react to, what they like or dislike, I try to come up with fresh ideas to pique their interest and encourage them to share what I post. I work hard to make sure I have a good retention and low bounce rate and I have seen a consistent growth rate in follower/subscriber numbers month on month. Everything was optimised for mobile phones but they’ve started getting bigger because they were just too small, and now people are moving back to tablets, which is good for websites and magazines like mine, easier to read on a tablet than a phone! The successful online editors have adapted to create a business by utilising their Social Media following to market other brands – in your opinion is this sustainable? Interesting question! Social media, digital marketing – it’s all evolving constantly so you have to keep evolving with it. I do market other brands to my social media following and I do find it works but it takes time to build that trust with your followers. I make sure that there’s a really good mix of posts that are just for fun/information mixed with promotional posts. For instance I might run a “French Bucket (and spade) List” week on Facebook, this gives me the opportunity to present advertisers photos/features in a soft way and it really works well. I do a lot of theme type promotions on social media like this and I think it’s important to be imaginative and creative when you’re marketing to a targeted audience like mine – then it is sustainable. Janine has recently written a guide to the UEFA 2016 host cities, with everything you need to know if you are heading to France for the football (or not) this Summer. Download your free copy here and keep tuned to our MagellanStraits blog for highlights from the guides. Follow Janine on Twitter and find The Good Life France on Facebook. Contributor: Alexandra Pinhorn Photograph via Janine Marsh (with one of her 50 plus chickens and geese). Magellan is on twitter: @MagellanPR / on Facebook: MagellanPR / on Pinterest: Sue Lowry / on Google+: Sue Lowry & MagellanPR and on Flickr: Sue Lowry. For more information on our company, visit www.magellan-pr.com. Follow our other blog focussing on travel in the South of England – A3 Traveller. Follow A3Traveller on Twitter: @A3Traveller.